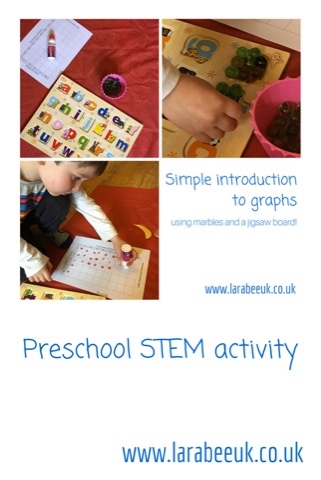 I love a graph or chart to display information and use all the time in my day job, for me they are one of the most important maths elements after the basics, it's only natural therefore, that I like to introduce this simple method of charting whilst T is young, as long as it's not enforced and it's fun. He really enjoyed this activity although there were so many he did need geeing up a bit to keep him interested towards the end. 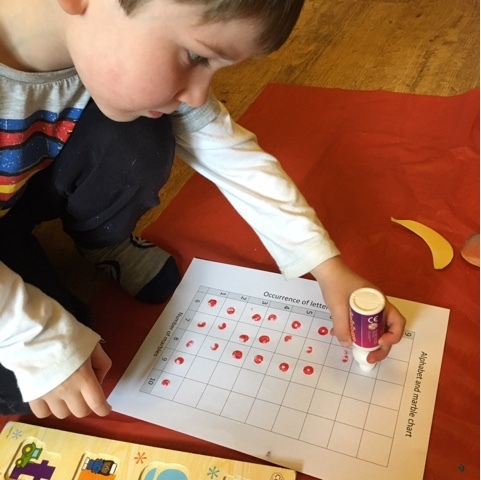 To set up this activity, I worked out the values myself first so I knew the size of the chart, you don't have to do this but you could have a lot of blank space if you don't. I had a bit of time on my hands so I made the chart in word, but you could draw it yourself. 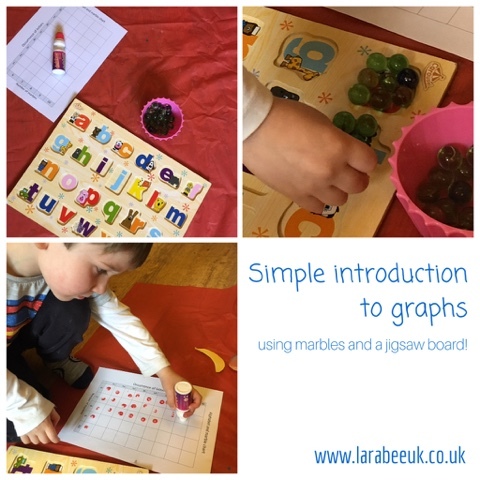 Using the marbles, T filled up each of the gaps on the jigsaw board, as soon as one was full he counted the number of marbles needed, identified the number of marbles along the 'X axis' (vertical) and identified the number occurance along the 'y axis' (horizontal) and used his dabber to plot the position on the graph. T liked the dabber element I think that made this a little more fun and helped keep him engaged. 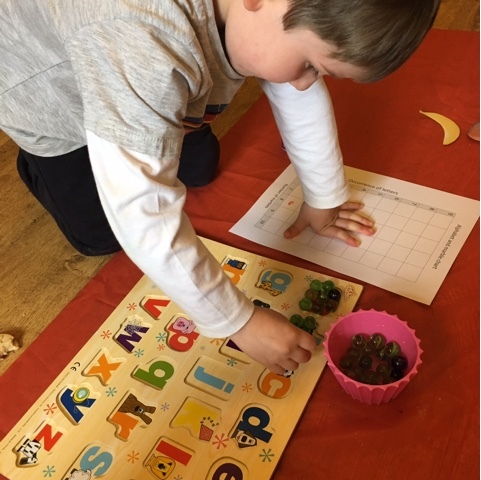 He soon realised that there were a high number of 6's & 7's and started to predict if the next letter would be higher, lower or the same, he actually liked this part best which is great to get his little mind thinking. 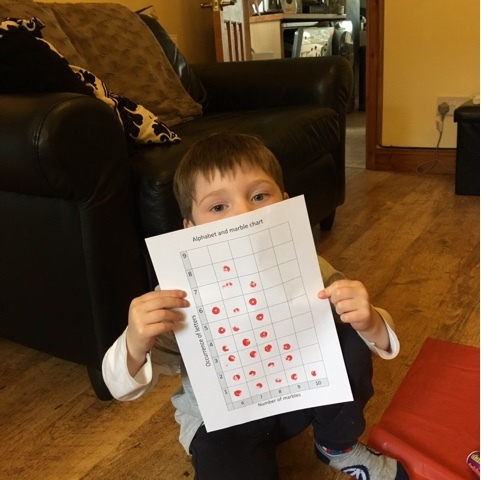 Within about 20 minutes we had finished and T was very proud of this chart. This would be a good activity for older children too. 1. Guess the number of occurances and work out your accuracy percentage. 2. Work out the mean average. 3. Talk about probability and predicting the next outcome.